Taber midget Tier IV Oil Kings won both of its games in Central Alberta Hockey League play this past weekend. The first was a 5-0 blanking of Okotoks at the Taber Arena on Friday. Treyten Halvorson, Michael Stronge, Dawson Hendricks, Brayden Kaye and Jack Murphy tallied for the Oil Kings. Murphy, Luke Bell, Stronge, Hendricks, Spencer Phillips, Cole McClelland, Byron Kress and Stronge drew assists. Talen Damberger earned the shutout in net. The team traveled to Picture Butte on Saturday and won 11-4. Phillips and McClelland both got hat tricks with Hendricks, Fabbri, Stronge, Bell and Nolan Tams getting singles. Kress got four assists and McClelland and Hendricks both had two helpers. ATOM: Taber atom Oil Kings won big in both its games of Central Alberta Hockey League competition. Saturday’s game was a 14-9 win over Magrath Chiefs on the road. Ayden Umbach had six goals and Chase Stronge had a hat trick. Nixen Miller had two goals and Cruz Duell, Heston Hansen and Lincoln Weiss had singles. The team returned home on Sunday and recorded a 9-2 win at the Taber Arena against Redcliff Grizzlies. Stronge had four goals and Miller and Umbach had two goals apiece. Weiss had a single. Weiss and Ryler Kiss had two assists apiece. 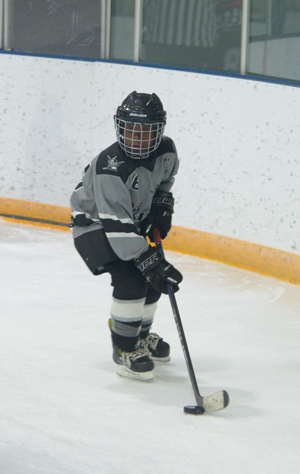 NOVICE: The winning streak continues for the novice Oil Kings CAHL team. They hosted Cremona Cowboys on Saturday and beat them 9-2. Dane DeGraw and Lincoln Wiebe each had a four-point game, with each scoring a hat trick and an assist. Julian Woordman and Nathan Gensorek each had a three-point game with single goals and two assists. Ethan Volk also scored. Delphin Deboer had three assists, while Madix Miller and Jenner Workman had single helpers.